IC50: Vernakalant inhibits two specific potassium currents, IKur (IC50 = 9 μΜ) and IKACh (ΙC50=10 μM) which are only present in atrial myocardium . Vernakalant blocks atrial potassium channels, thereby prolonging repolarization. It differs from typical class III agents by blocking a certain type of potassium channel, the cardiac transient outward potassium current, with increased potency as the heart rate increases. It also slightly blocks the hERG potassium channel, resulting in a prolonged QT interval. In addition, vernakalant also blocks atrial sodium channels. In vitro: Previous study indicated that vernakalant showed selectivity for voltage-gated K+ channels, which were Kv1.5, Kv4.2, Kv4.3 and hERG channels, among which the Kv1.5 channel block was most potent. Such potent inhibitory effects occurred when the channel was probably in the activated state, since vernakalant caused a more pronounced reduction of the steady-state current amplitude in comparison to the early current . Ex vivo: An previous ex vivo study of human atrial tissue from sinus rhythm and chronic atrial fibrillation indicated that the rate-dependent block of Na+ channels represented the main antiarrhythmic mechanism of vernakalant in the fibrillating atrium. In this study, vernakalant was found to prolong early repolarization in SR and AF, but late only in AF. Vernakalant did not reduce outward potassium currents compared with time-matched controls. However, area under the current–time curve was reduced due to acceleration of current decline with IC50s of 19 and 12 mM for SR and AF, respectively . Clinical trial: Vernakalant (INN; codenamed RSD1235, proposed tradenames Kynapid and Brinavess), initially developed by Cardiome Pharma, is an investigational drug under regulatory review for the acute conversion of atrial fibrillation. 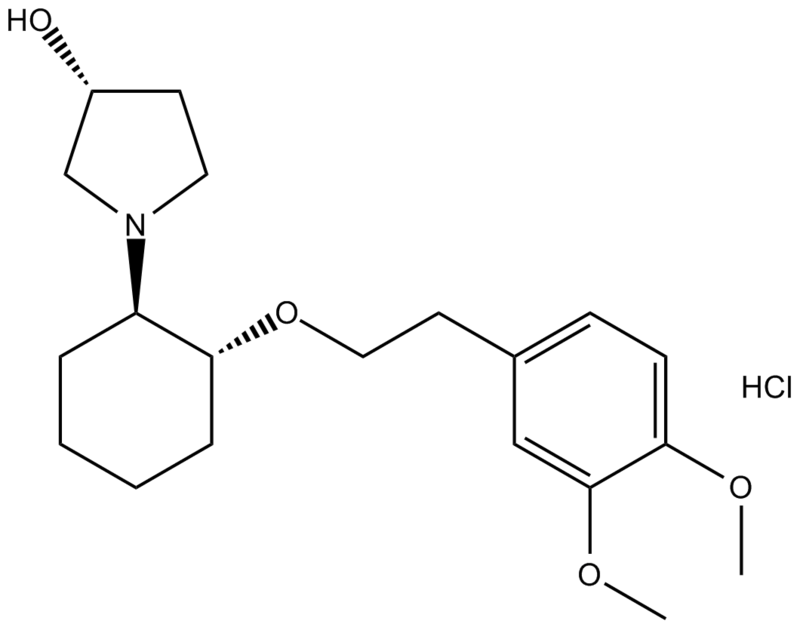 Its intravenous formulation was later bought by Merck in April 2009. On December 2007, the Cardiovascular and Renal Drugs Advisory Committee of the US Food and Drug Administration (FDA) voted to recommend the approval of vernakalant, however, in August 2008 the FDA required necessary additional information for approval. Finially, on 1 September 2010, vernakalant under brand name Brinavess was approved in Europe. In addition, an oral formulation underwent Phase II clinical trials between 2005 and 2008. Wettwer E, Christ T, Endig S, Rozmaritsa N, Matschke K, Lynch JJ, Pourrier M, Gibson JK, Fedida D, Knaut M, Ravens U. The new antiarrhythmic drug vernakalant: ex vivo study of human atrial tissue from sinus rhythm and chronic atrial fibrillation. Cardiovasc Res. 2013;98(1):145-54.